Shop from good people all around the world. 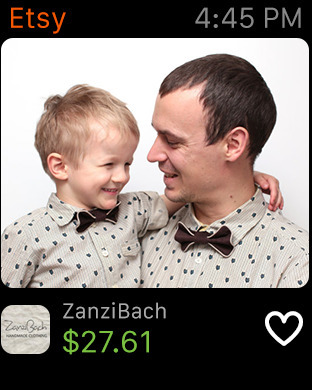 Find new favorites, get gift ideas, and buy beautiful, unique things. On your walk to work. While waiting in line. As the kiln cools. Whenever the mood strikes, really. Everything for sale was designed, made or curated by creative humans running independent businesses. 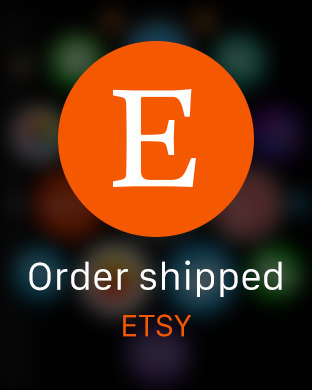 All you early adopters can now browse Etsy from your Apple Watches. 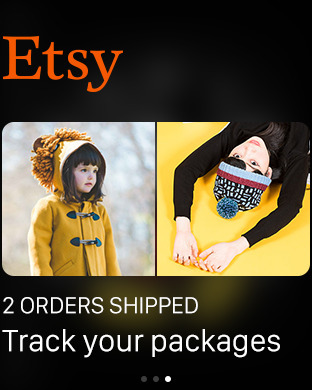 You can get real-time convo and shipping notifications there too. 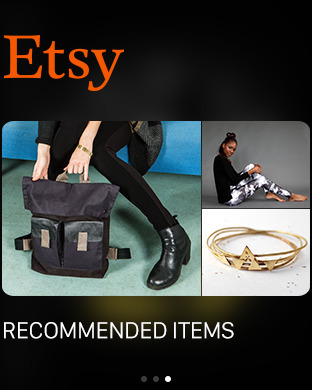 Browse Etsy stores and get recommendations tailored for you. View pictures of items for sale along with prices. 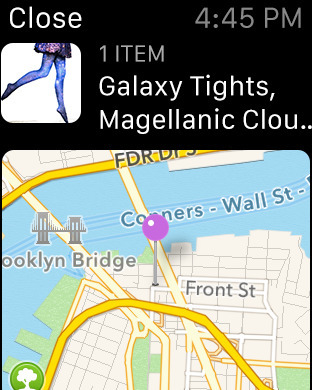 Save those items to your favorites for later purchase.